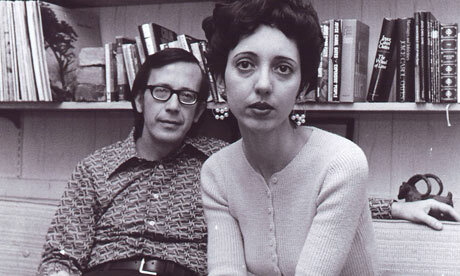 In Wednesday’s Times “Arts, Briefly” column, Charles McGrath reports on the controversy surrounding Joyce Carol Oates’s memoir, A Widow’s Story (“Joyce Carol Oates Updates Her Widow's Story,” NYT, 5/11/11). The book, which was excerpted last year in The New Yorker, describes the demise of her husband, Ontario Review editor Raymond Smith. Apparently Oates, whose memoir can been compared to Joan Didion’s The Year of Magical Thinking, about the loss of her husband, John Gregory Dunne, had already remarried by the time A Widow’s Story appeared. McGrath quotes the acclaimed English novelist Julian Barnes as saying, “Some readers will feel they have a good case for breach of narrative promise.” But the controversy begs the question of how one mourns the loss of a loved one—a subject that is dealt with in two other memoirs, one by Meghan O’Rourke, who wrote about the death of her mother, and another by Francesco Goldman, who wrote a memoir in novel form about an incident at a Mexican resort that brought his wife’s life to an end. Matthew von Unwerth addresses the subject of mourning in his book Freud’s Requiem, which examines Freud’s essay “On Transience,” a work inspired by a walk Freud took with Lou Andreas Salome and Rainer Maria Rilke in the summer of 1915. Like the Oates memoir, both O’Rourke’s The Long Goodbye and Goldman’s Say Her Name were serialized in The New Yorker (which is probably setting some sort of record for publishing accounts of this kind), but von Unwerth’s tome about Freud most closely addresses the substance of the controversy surrounding Oates. Following von Unwerth’s line of thought in his analysis of the Freud essay, one might say that it was in fact Oates’s ability to effectively mourn her husband, in part through her writing, that allowed her to let go of the past and find love again.